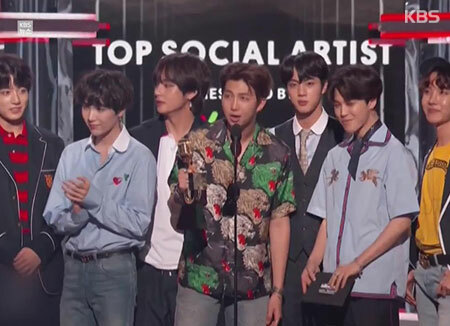 Global K-pop sensation BTS has been awarded the Top Social Artist Award by Billboard for the second year in a row. The group defeated four competing singers including Justin Bieber and Ariana Grande to grab the award at the 2018 Billboard Music Awards held at the MGM Grand Garden Arena in Las Vegas on Sunday (local time). The Top Social Artist is one of the two fan-voted categories at the award. In 2017, BTS has broken Justin Bieber’s six-year winning streak. The group became the first Korean group to win a Billboard Music Award in 2017 with their Top Social Artist win.